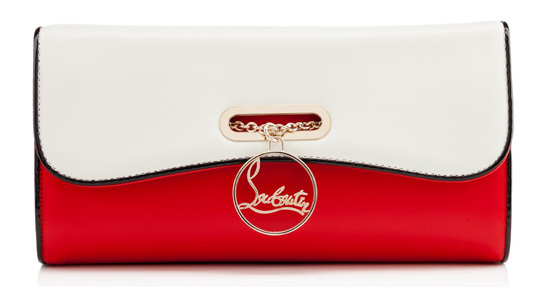 OK, that’s it: can we please just fast-forward to spring now, so we can buy all the shoes in the Christian Louboutin spring/summer 2014 collection? Or, on second thoughts, maybe not: I can practically sense ShoeperMan’s fear at the very thought of that, and, you know, he SHOULD be worried. 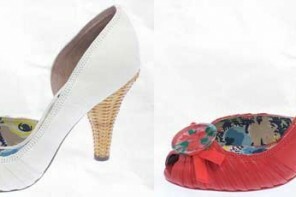 This collection is one of the best yet, and is packed full of shoes that seem to be designed just to tempt me. Last week I put the ‘So Kate’ pumps right at the top of my wish list, and this week they’re joined by these fabulous nautical stripe slingbacks, which I’d buy in a heartbeat – if I could only find a spare £625 down the back of the couch. This shoe is the ‘Lady Peep’, and Louboutin lovers will have recognised the shape right away: it’s another Louboutin classic, and comes with a 150mm heel, matched by a small platform. 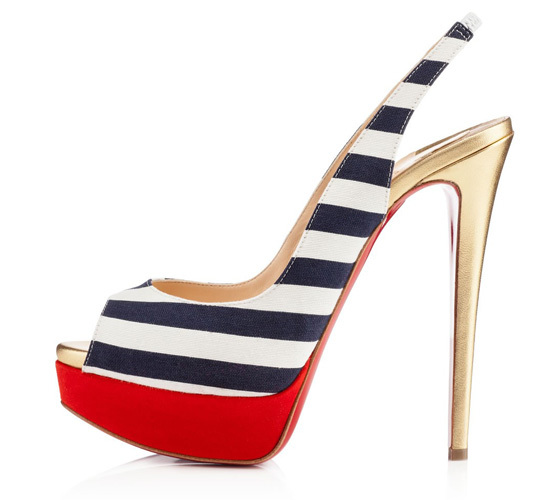 This version has a blue and white stripe canvas upper, atop a bright red platform, and finished off with a gold stiletto heel. It’s the perfect summer platform: all three colours are warm-weather classics, and these will work seamlessly with all of those similarly-nautical styles we see each year. LOVE! Is it just me or do the stripes go in different directions on each shoe? Who cares? They are fabulous.